So You're Thinking of Buying a Home in Boston? You've never done this before, and it can be, well...kind of intimidating. I'm sure you've had your doubts, questions, concerns... it can be really quite overwhelming, but it doesn't have to be!! You've been pondering this, discussing it with friends and family, but want more information on the market and what actually happens during your first home buying, but you're not quite sure where to get the answers? We at Charlesgate Realty Group can you help you! 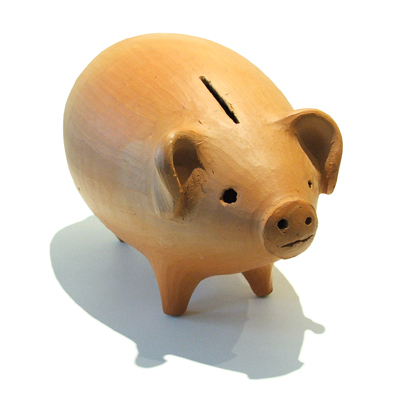 • Negotiating 101: How to craft your offer to drive a hard bargain! It's very low key, we offer food and drinks before and afterward and it's a great way to learn about the Boston real estate market, ask questions that you may have regarding the process. 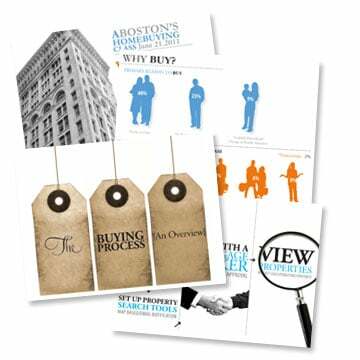 In fact, our buyer agents stick around to answer any other questions you may have that we may not have hit upon during the class. The class is at 6pm on Tuesday September 20. Click here to get more information and to register. We hope to see you there! 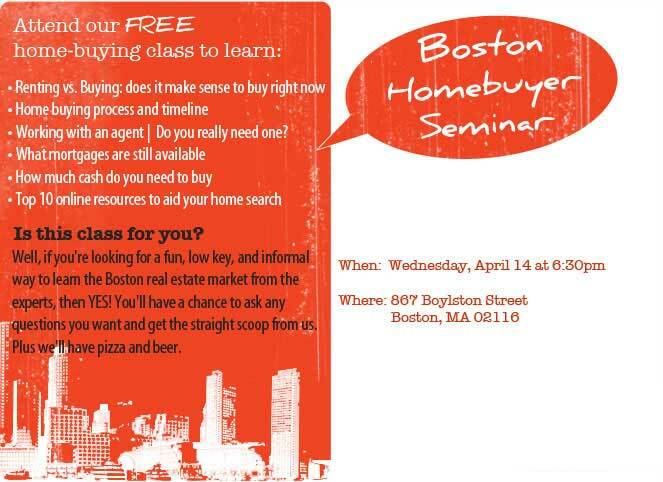 First Time Boston Home Buyer Class to be held April 14th! We're hosting another First Time Home Buyer class on Wednesday, April 14 at 6:30pm. So, if you missed the last one because of the blasted rain, or just couldn't attend, here's another chance! Info below or find out more and RSVP on this page. On October 29, 2009, the House and Senate passed legislation to extend the current conforming loan limits for FHA and Freddie Mac and Fannie Mae (the government sponsored enterprises, or GSEs, that back much of the mortgage market in the U.S.) through December 31, 2010. 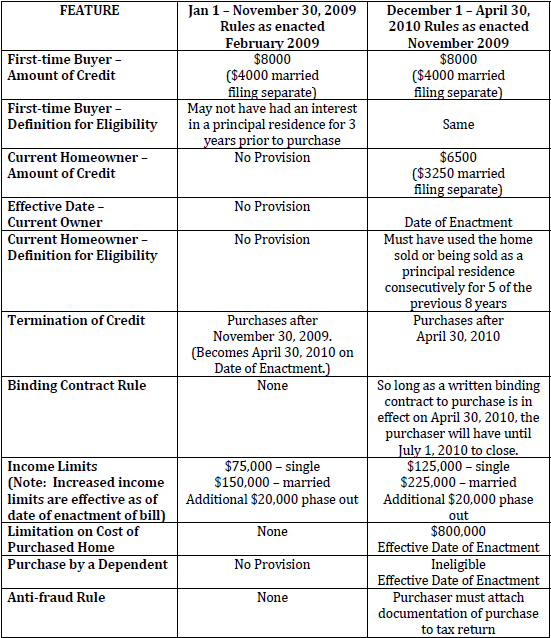 These loan limits, set at 125% of local area median home price and capped at $729,750, would have expired on December 31, 2009 in which case loan limits would have been reduced in many markets. Major news out of Congress. Today, the House voted 403-12 in favor of extending and expanding the $8000 first time buyer tax credit after the Senate did the same yesterday by a vote of 98-0. The president is scheduled to sign the bill (which also includes provisions to extend unemployment benefits) tomorrow morning to officially make it law. (Update Nov 6: It was signed by President Obama today, officially making it law). Labor Day surprises for the Boston real estate market? With Labor Day coming up Monday (too soon dammit! 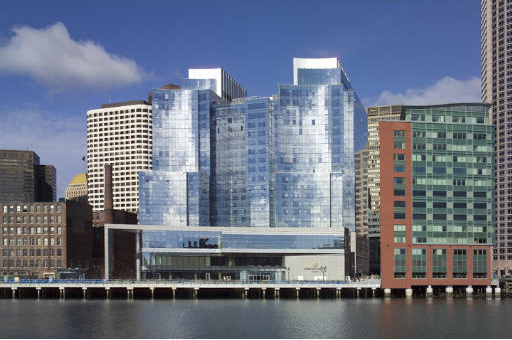 ), which usually leads to the end of the typical summer slowdown in the Boston real estate market, what surprises can we expect for the fall market? I wrote about the Back Bay condo market and what $600,000 could buy you there a few weeks ago, so I figured it would be an interesting proposition to now look at the Beacon Hill condo market (another one of the most expensive neighborhoods for Boston condos). Beacon Hill is slightly less expensive on average than the Back Bay (median condo prices in Beacon Hill are $527,000 vs nearly $608,000 in the Back Bay over the past 3 months). Still not cheap! I guess being one of the most historic and desirable neighborhoods in one of the most expensive cities in the country doesn't exactly equal cheap....but you be the judge as to where you want to live! 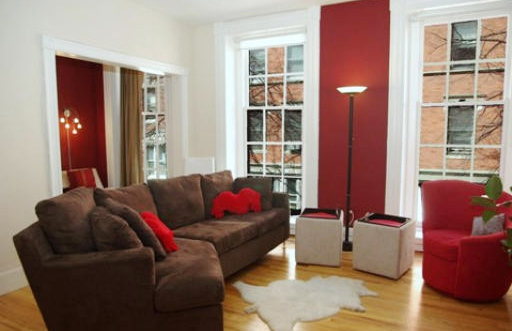 See below what $600,000 will buy you for a Beacon Hill condo. You can also read more about Beacon Hill in our new neighborhood section of this site. [Here is a guest post from Jessica Later, one of the skilled buyer agents on my team here at Charlesgate Realty Group. Please enjoy her post, and if you have any questions, please comment below or contact Jessica].